The Bellanina Facelift Massage is a pampering, relaxing massage that improves the appearance of the face through stimulation of the underlying layers of skin and soft tissue. This support system can make surface wrinkles less visible, slows down the formation of new ones, and helps keep facial muscles from giving in to their two biggest enemies – gravity and time! This proprietary technique includes efflurage, petrissage, acupressure, lymphatic drainage, tapotement and contouring massage strokes. With repeated Facelift Massage in weekly sessions, clients begin to see noticeable changes in their faces and necks. Once the face is toned, it is easier to keep it in shape. How Does Massage Work to Relax and Heal the Muscles? Massaging muscles of the body relieves muscle tension or spasms, decreases inflammation and fluid retention, and eases aches, stiffness, and pain. Improved circulation of blood and lymph, flexibility, range of motion, and tissue elasticity have also been noted. As a massage therapist uses her/his hands to knead, rub, and stroke (effleurage) a client’s muscles, circulation is stimulated. Blood flow derives oxygen and nutrients, and thereby helps muscles eliminate waste products such as lactic acid that may collect in muscles after exercise or injury. Muscles, ligaments and tendons are gently stretched, increasing their suppleness, nerves are stimulated and relaxed, and stress is alleviated. The overall result is relaxed, toned muscles. The Bellanina Facelift Massage is like an exercise session for the face, causing facial muscles to tone as a result of the stimulation of the manual massage. Think about it: after exercising, don’t your muscles feel warm, stimulated and toned? Like any exercise program, of course, it must be maintained to see continuous results. To maintain a healthy toned look for facial muscles the client should perform an abbreviated version of the Bellanina Facelift Massage at home as well as visit you for treatments. Your blood feeds every living cell, attacks intruders, helps stabilize body temperature and pH, and starts any wound healing needed by the body. It carries all the moving particles your healthy cells need throughout your body – most notably oxygen, nutrients, hormones and water. The pumping action of massage moves blood through congested tissues, removing lactic acid and other waste material. This facilitates the flow of fresh oxygenated blood into the tissues, restoring and refreshing the tissues cell by cell. Lymph is a clear liquid, actually blood plasma.  The Bellanina Facelift Massage aids in ridding the face of excess fluid, reducing under eye puffiness, and leaving the skin with an inner glow. In this treatment, the very light strokes under the eyes and along the jaw line move lymph fluid which decreases puffiness and fluid retention. 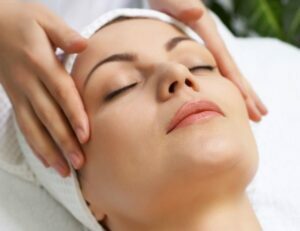 Stimulating the muscles of the face the through the Bellanina Facelift Massage strokes begins the process of toning and firming to regain a more youthful face. On a deeper, energetic level, the acupressure we do in the technique stimulates key points on the surface of the skin, which activates the body’s natural self-curative abilities. When these points are pressed, they release muscular tension and promote the circulation of blood and the body’s life force to aid healing, toning and firming. As an acupressure point is pressed, the muscle tension yields to the finger pressure, enabling the fibers to elongate and relax, blood to flow freely, and toxins to be released and eliminated. By relaxing and toning the muscles, fine lines, saggy jowls, and indentations such as furrowed brows or deep nasolabial folds can soften and take years off a face.